– Roadwork will occur on Freedom Boulevard this summer (from 200 N to Bulldog) but there is no room for lanes. The Committee has proposed putting lanes in on 100 West (from 800 N to Center) where there is plenty of width so on-street parking would not be impacted. That’s it. Enjoy the ride–it will be safer and more pleasant thanks to Engineering and the efforts of the Committee. 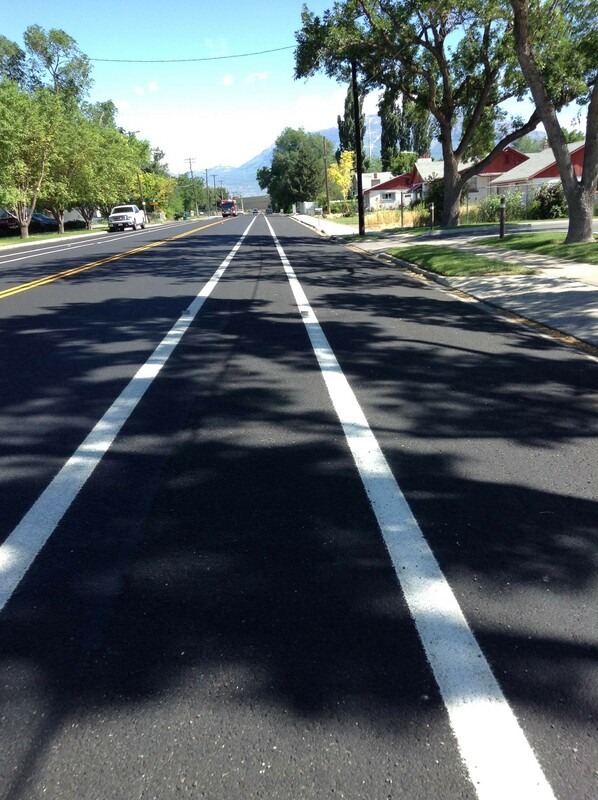 Post by Aaron Skabelund, Chair of the Provo Bicycle Committee. Thanks to Joli for the new lane photography. 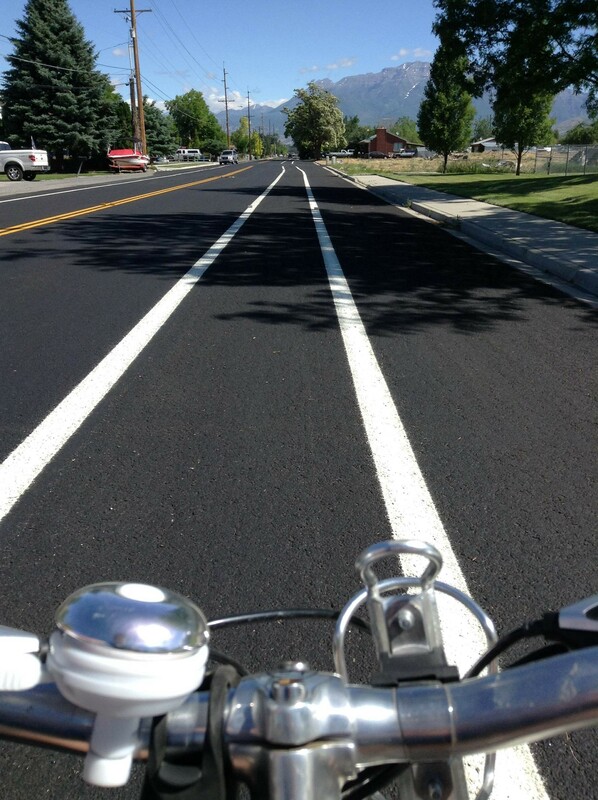 This entry was posted in Provo Bicycle Projects, Provo Bike Committee by Jamie. Bookmark the permalink. I wonder where the bike lanes will go on Canyon Drive south of 2230 North. Those car lanes seem to extend right up to the curbs on either side with no room for expansion.